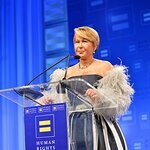 The Human Rights Campaign (HRC), the nation’s largest lesbian, gay, bisexual, transgender, and queer (LGBTQ) civil rights organization, announced the full lineup for the 20th annual HRC National Dinner set to take place this coming Saturday, September 10, 2016, in Washington, DC. Grammy and Tony Award-winning artist Billy Porter and Grammy Award-winning artist Estelle will perform. Special guests include Samira Wiley, star of Orange is the New Black; Nyle DiMarco, winner of America’s Next Top Model and Dancing With the Stars; author and transgender advocate Tina Madison White; comedian and LGBTQ equality advocate Dana Goldberg; and many others. As previously announced, Democratic Vice Presidential nominee Senator Tim Kaine will deliver the keynote address, and Congressman John Lewis (D-GA) will speak at the sold out event. Nyle DiMarco is the first Deaf person to win America’s Next Top Model Cycle 22 and Dancing With The Stars Season 22. As a founder of Nyle DiMarco Foundation and an honorary spokesman for Language Equality and Acquisition for Deaf Kids, DiMarco is passionate about language and literacy and advocacy within the Deaf Community. Last year, DiMarco came out publicly as sexually fluid to his followers on Twitter. Author and activist Tina White built a career transforming businesses. A few years ago, she embarked on her most ambitious transformation project yet: herself. Her book, Between Shadow and Sun, describes her 50-year struggle to find her place in the world as a man, then her struggle to accept herself as a woman. Since coming out, Tina has become a vocal advocate for transgender people and their rights. The 20th annual HRC National Dinner is expected to draw more than 3,600 guests. More information is available at www.hrcnationaldinner.org.